It's the 4th year of the prestigious WWEport end-of-year awards. Well, I say awards but this "Fave Five" is just a list of people who I have particularly enjoyed in 2014 and who I think have performed better than most. Full credit goes to Booker T for the inspiration all those years ago. It's been a tough year for the WWE. All it's biggest hitters have left in some form or other. We ended the year without Daniel Bryan, Randy Orton, and Batista on the active roster, all of whom main-evented Wrestlemania this year. Add to that the long absence of golden boy Roman Reigns and the permanent absence of CM Punk and all the stars are gone. Who filled the gaps? 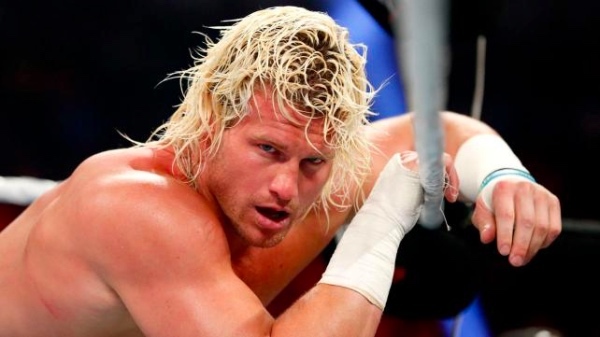 Dolph Ziggler has maintained his slow but steady rise in WWE. He has done it by putting over pretty much every other wrestler in the company on a consistent basis. He does that by being incredibly athletic and reliable in the ring but also by having a style of match with a simple template of getting beat up, a lot. I'd like to see him start to dominate a few opponents in 2015 to break that monotony if he really wants to excel even further. Break-out star of the year, Sandow was wallowing in the lower mid-card for most of last year and even the first half of this year. Given a go-nowhere gimmick of impersonating different wrestlers evolved into being the sidekick to Miz as his stunt-double. 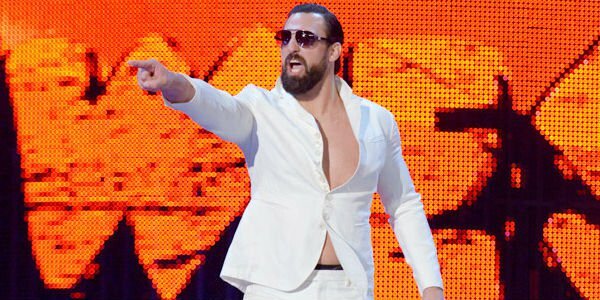 I truly feared that Sandow was on his way out of the company but with great wit and full commitment he has turned his imitation game into a winning formula. Now he's getting bigger pops from the crowd than most wrestlers in the company. 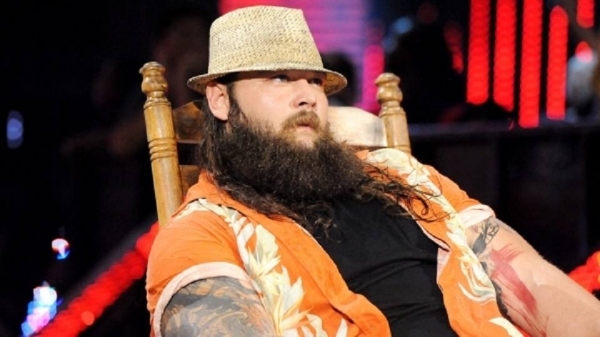 Bray has not had a bad match yet. While his schtick has sometimes been tiresome; "I know you better than you know yourself, join the darkside, etc etc", he never fails to impress inside the ring. And while I may even be a little bit jaded with his promos, I still can't deny that he is unique and beyond comparison. There is no other wrestler like him. That individuality on the mic also translates to the ring. It means that you never really know what you're going to get from a Bray Wyatt match and that excitement makes him must-see TV. I hate Stephanie McMahon. I truly hate her. And that means she has won. The boss's daughter has been the premier villain of 2014. The smug face, the grating voice, the air of contempt for the paying public, it's the perfect storm of heat generation. Behind it all though, she has been on-point every week with her promos. She always knows how to bring the main story to the forefront and to keep the rambling wrestler's around her on target. She is beyond doubt Heel of The Year and while I hate having to watch her every week, she's getting exactly the reaction she wants. The greatest thing the WWE is doing is not on RAW, Smackdown, or even Total Divas. Their "developmental" show outranks its main one. Sami Zayn, Adrian Neville, Finn Balor, Kevin Owens, Hideo Itami, Tyler Breeze, Tyson Kidd, etc. All amazing. And their women's division is great too, with some stellar wrestling especially on their PPV style shows. Why is it so much better? They shut up and wrestle. It's more akin to an indie wrestling company than the rambling sports entertainment company that WWE has become. Maybe CM Punk was right all those years ago. Maybe WWE won't get better until Vince is dead. Long live NXT. The New Day: They're new, they're still finding their feet but I love Kingston, Big E, & Woods and can't help but feel positive about the future if they're able to combine their efforts. Seth Rollins: Seth has been pushed to the moon this year. You wouldn't really have expected it. In The Shield he seemed the one least likely to succeed but he has really taken the bull by the horns. Now he needs to do it on his own. Stardust: Cody Rhodes. Dear god that guy has gone through a weird career at such a young age. How long will this gimmick last? Who knows, but he's having a hell of a time. Dean Ambrose: People keep saying he could be the next Stone Cold. I think he hasn't quite figured what to do with himself just yet. A little more definition and he'll fulfil his potential.